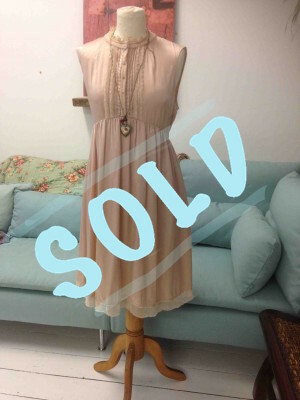 Anderson & Lauth soft antique pink dress with detailed buttoned front. Sleeveless, knee length and silk bow at the back. Size 42. Dress is 100% silk.